Tango is one of the best gifts you can give to someone. 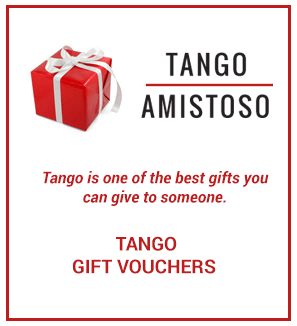 The Gift Voucher can be used for any of our Tango or Yoga classes or the Practica at Tango Amistoso. Please note that this does not include classes taught by WInston and Silvia at City Academy. You will receive an email after payment with the details of the voucher and the unique reference number.